"My dog is blowing me off!" "My dog is so easily distracted!" "My dog is bouncing off the walls!" ...Sounds like adolescence. $249 for a limited time only! 2581 Broadway at West 97th Street. Adolescent Dog Training is designed for dogs between 5 months and 5-years-old. Many owners are pulling their hair out during adolescence as they watch their sweet and obedient puppy develop competing interests. Suddenly, their dog has a bottomless supply of energy, is easily distractible, and seems to have forgotten all of their hard-won training. Don't worry! There are many fun and easy strategies to help you achieve your goals with your dog during this tricky stage of development. We will help! In this unique class, we will focus on introducing and upgrading basic behaviors (such as: Leave it, Drop, Take it, Sit, Down, Stand, Leash Training, Recall, and more). We will begin developing cooler tricks (Such as: Spin, Rollover, Crawl, Leg Weaves, etc). We will focus heavily on proofing behaviors (making them work) when your dog is heavily distracted, dealing with blow offs, and how to handle your dog's increased energy levels. 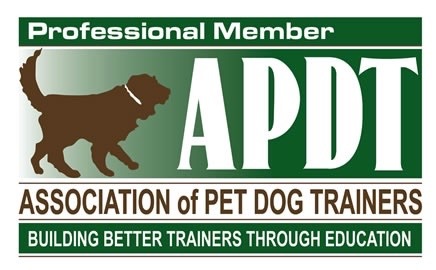 This class is also great for newly adopted adolescent dogs.